After months and months of testing, we at Papertrey Ink are proud to introduce our new line of Premium Dye Inks! Here is a short video introduction that explains a bit more about their attributes. 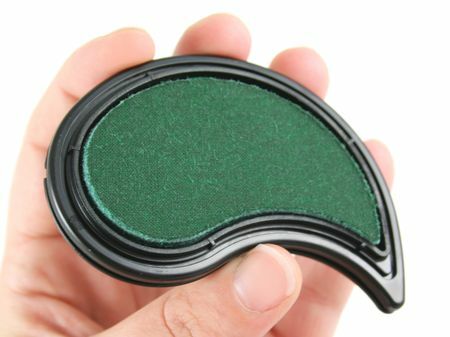 A full line of products will be available, including full-size pads, 1-inch cubes and 1/2 oz. refills. 1/2 oz. refills will retail for $4. And full-size pads for $5. This new pad shape fits naturally and comfortably in your hand. The raised canvas surface makes it easy to use and works beautifully with direct to paper techniques. The full-size pads are easy to store and they are even stackable. The narrow end makes selective inking a breeze. While the wide end gives you the ability to ink up larger images in no time flat. The coverage with this premium dye ink is rich and will give your clear stamps amazingly thorough coverage. 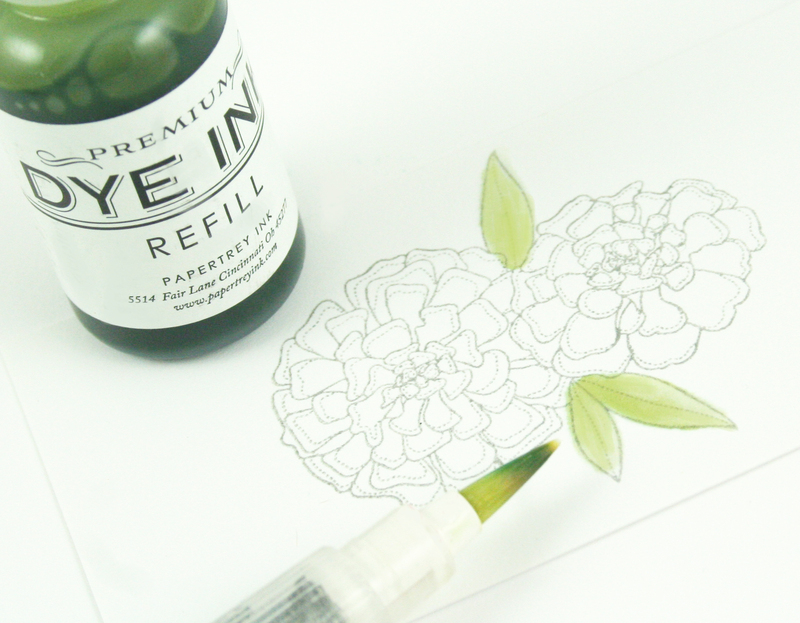 Since these inks are water-based, they can be used for watercoloring. Imagine having the Papertrey color spectrum at your fingertips for this beautiful coloring technique. The new ink pads are slightly smaller than our original old pads, but the new shape and design is so much more user-friendly. 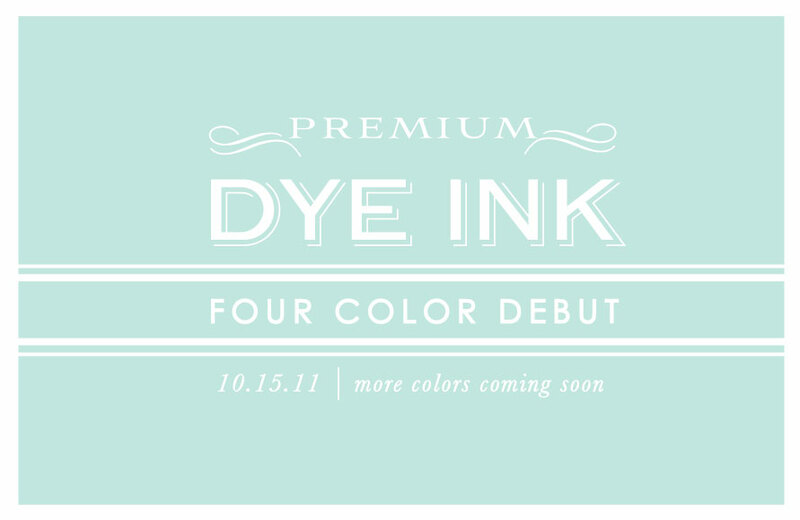 October 15th marks the official debut of four of our most popular colors, Pure Poppy, Aqua Mist, Spring Moss and True Black. The remainder of the colors will be coming soon! -Since this new dye ink is water soluble it is not waterproof or Copic friendly. This is true for all the colors, including True Black. We will continue carrying the Noir Palette ink pad for these purposes. 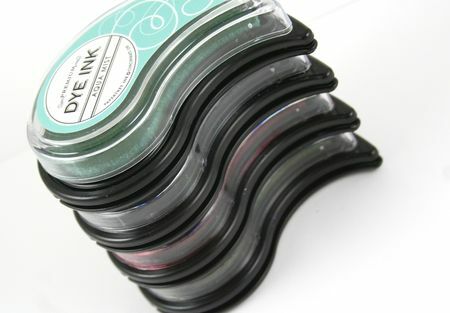 -You cannot purchase the new Premium Dye Ink Refills and apply them to your older original ink pads. 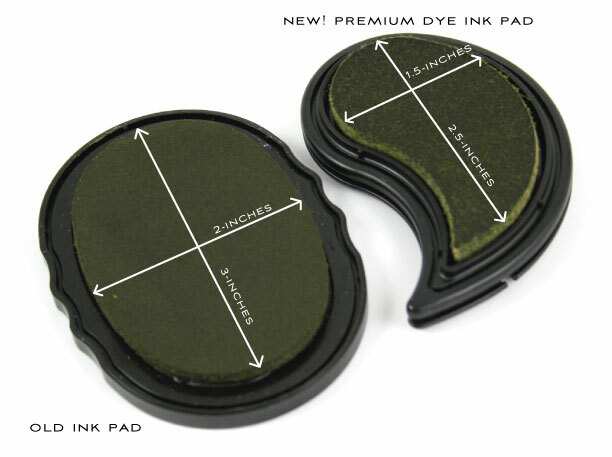 The ink that is currently in those pads will not mix with the new Premium Dye Ink and will not provide optimum results since it is a completely different formula. 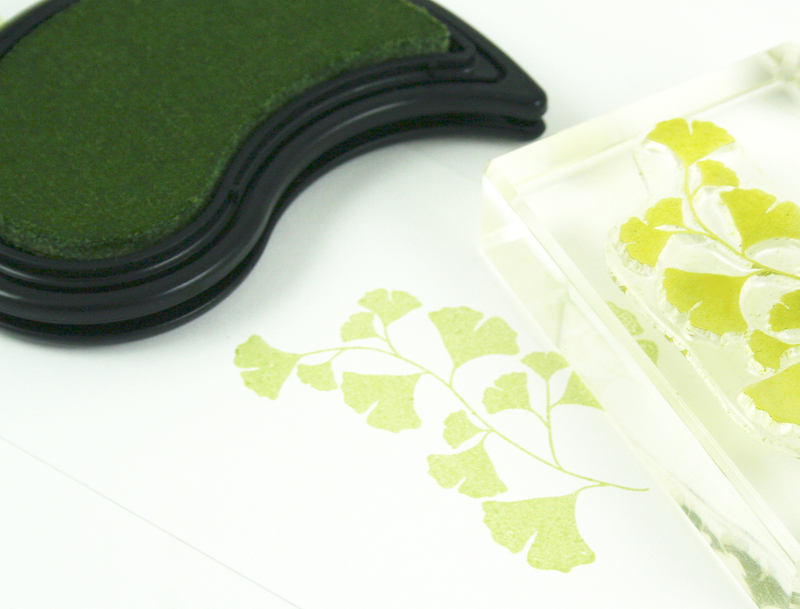 -Dye inks traditionally do not stay wet enough to allow you to heat emboss with them. This new Premium Dye Ink works the same way and dries practically instantly. Yippee!! These certainly look like they were worth waiting for!! Love the new shape and the option for 1″ cubes–can’t wait to try these!! Thanks so much!!! oh I am so happy! I know you have worked hard to make this happen and it wonderful! Woo Hoo!! The shape looks great. So glad it’s working out. Thanks so much for all the thought and time you’ve put into this project. Can’t wait to try the new and improved ink pads! PTI is the greatest! This is exciting! I like the look of the new pad and I’m glad that you are still going to sell the spots for easy budget purchases 🙂 Way to go! Oh this is so awesome to see! Thank you for all the hard work that has been put into this 🙂 Can’t wait to give these a try. These look fantastic! And great price point, too! I am soooo happy! It has been a long wait, but worth it to wait for a good pad. I bought my first pads as they were being changed. The colors that turned the worst of the ones I purchased were the Spring Moss and the Sweet Blush. I am so excited that Spring Moss is one of the first released and the Aqua Mist that I have being dying to get my hands on. Happy to see that the new inks are finally here! I love the shape of the pads and glad that the cubes will be available as well. Thanks PTI! I can´t wait! I have been looking pure poppy for months and months, hope I can buy it this time! They look great! I love the shape of the full size ink pads! 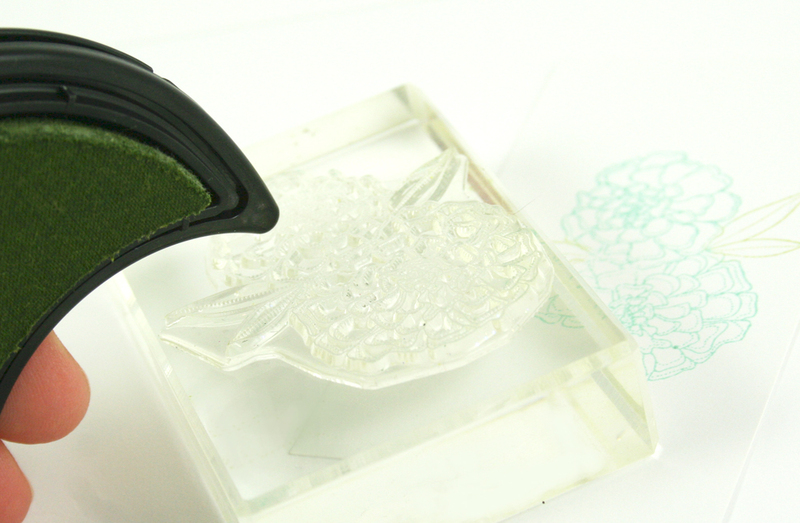 WOW~ I am super excited to try the new ink pads. The shape is really different from what I’ve seen and the options of 1 inch cubes are great too! I can’t wait for the release of dyes in the full range of PTI colors! I am so pleased to have ink to match my PTI papers again. Hopefully it will stand the test of time better than the previous formulas. Yay, yay, yay! I am BEYOND excited to try them!!! Well, they look very lucious and I can’t wait ’til you’re able to manufacture the whole line in your original colors. We have been waiting so long. I csn’t wait to try them! Oh it seems like we’ve been waiting sooooo long – how exciting that they’re finally available!!! Oh be still my heart — cannot wait until my sickly budget will allow me to make these mine — all mine! LOVE the new shape & prices!!! Yay for the new dye inks. Thanks for all the product testing to make these better than ever! So excited about the new ink! Just what I have been waiting for more than anything else! Yippee!!!! Love the new shape! Excited to see matching inks! Happy dance. I am so excited for the new ink. I’m running on empty..haha. I love the new shape and can’t wait to get myself some much needed ink. Thank you for all your hard work to insure the product is up to PTI standards. I am sooo happy the new inks are finally available. Thanks for all the hard work that went into insuring we have an ink pad that matches the PTI standards we are used too. Can’t wait for release of the full PTI color spectrum! Love that they are water based so we can use them to water color too! It has been a long wait, but I hope it proves worth it. The shape looks very user friendly and I look forward to reading the feedback in the forums. YAY YAY!! I am so excited!!! They look great! I’ve been waiting for the new ink!! Must get!!! Yeah, I’ve been waiting for your inks! Can’t wait to get my hands on them!!! Finally! The long wait is over. Really happy for you. Oeh, pretty colors!! And so happy they are here now!! Are they also good for coling with Copics? Yay!! So exciting to hear the new inks are released this month! I love PTI!!!!! Looks so great!Can’t wait to try them..love the shape! Love, love, love that new shape! Genius! 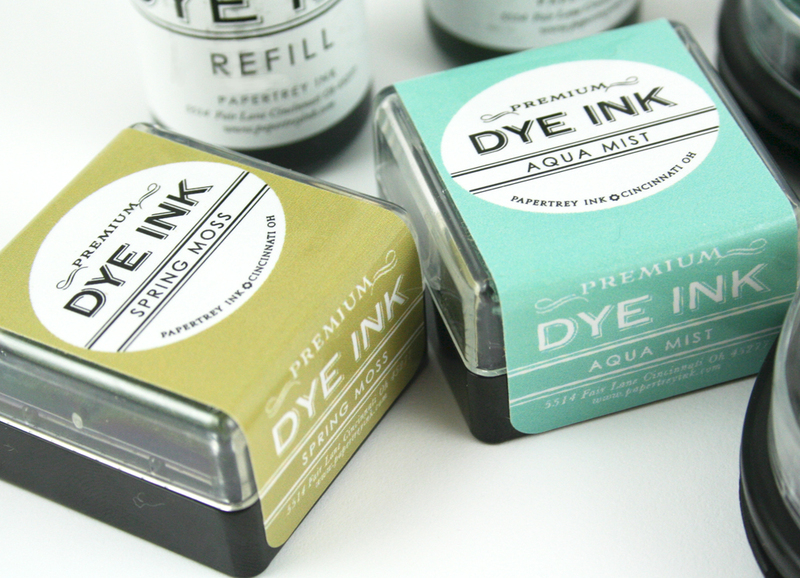 I cannot wait to get my hands on some aqua mist and pure poppy ink! Love the new design and the small and large ends of the pad as this is such a GREAT IDEA!!!!! Can’t wait to try them out! It has been a long wait but I can see the thought and effort that went into getting the inks and shape of the pad just right – and stackable too! Yeah! EEEKKK!!! I can’t wait to get some! You’ve made me hold my breath for a loonnggg time…. Woo hoo!! I have been waiting for these!! Been waiting a long time for these! Yippee!!! Made in the USA, awesome. Great job! I haven’t tried any of your inks from before but I am anxious to give these new ones a try. Oh I’ll be ordering these for sure. I am excited to give these a try! Let the stamping begin ~~ I so need PP AM and SM and I really really really need RA and Plum Pudding ……… crossing fingers for the next month installment!!!! I’m so excited! I only had a few of the older ink cubes. When the old ones were discontinued I had nothing to match my PTI cardstock. I’ve felt like I couldn’t stamp until this new ink came out! YEA! I can stamp now! Yahooo! Looking forward to giving these a try!!! It’s been a long wait but I appreciate your taking the time to release a product that you can stand behind 100%. I am sooooooo excited. Yay!!! 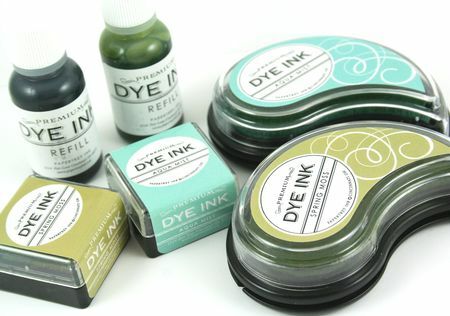 I am so excited that the new dye inks are finally here, I have been waiting. Love the design of the new ink pad too. These looks great! looking forward to trying them out. Oh, yea! Looking forward to trying out these new ink pads! And I love that you’re releasing them in spurts…makes it a little easier for me and the budget. Great new shape! Can’t wait to try them. Yes!!! I can’t wait to use these again after the tease I had at stamp-a-faire!! Woohoo!!!! I’ve been waiting for you to start selling ink again and I’m soooooo excited!!! Would love to try the new inks, Poppy is calling out my name!!! The shape of the pad looks to be a winner! How exciting! I can’t wait to start my new collection! It looks like a lot of thought went into the design. LOVE it. Can’t wait to try the new ink pads! Oh, I can’t wait to start my new collection!! I’m sure it’ll be worth the wait!! Hooray!! You’ve made us all very happy! I love that these can be used for water coloring! I am really anxious to try the new and improved ink. I’m sure that you have put tons of research into these new little babies so I’m sure we won’t be disappointed! I’m so excited about the inks! 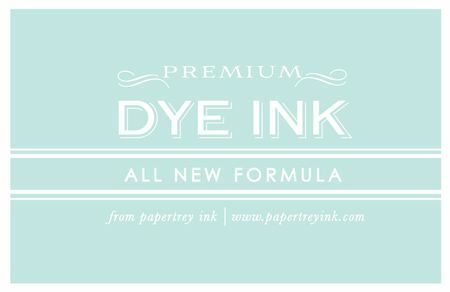 I am a new customer to papertrey ink so I am excited to be able to use the complete color selection from paper down to inks! Love the shape of the pads!! So excited to get the new inks. Yeah!! I so need to restock my ink supplies, I was running a little low on my fav colors, I love the new shape, you ladies are so clever!! I cannot wait to get my paws on these new babies!! Thank You. Do they stay wet long enough to get embossing powder on them? Great new shape. Already looking for a way to label the colors while they are stacked. Super excited about the new inks!! So excited about this. I have been waiting for such a long time to get my hands on these ink colors! very cool. I have never tried one of PTI’s inks (gasp, I know! )… but really looking forward to trying these. So excited to try the new inks! This is so, so, so exciting!!! hooray, can’t wait to try them out! Super Happy about the new ink pads. Can’t wait to get my hands on them. I love the thoughtful design that went into these new inks. The shape is genius. I can’t wait to add them to my collection. FUN! Major happy dance over here!! My ink cubes are going dry. Yippee!!! Can’t wait for the rest of the line to be released. Over the moon! SOOOOOOO excited! Hurray! Hurray! Definitely picking up Pure Poppy tonight! So many great products this month! I can’t wait to order the new inks and I love the new shape! What a gorgeous Christmas color combination! I don’t have any PTI inks, and I’m glad I waited… now I can get the latest and greatest! I can’t.even.wait!!!! I have been really looking forward to your new inks! Now I need to purchase the new stamp pads. Love all the new stamps and dies, just trying to decide what to get this month. YAY! Looking forward to trying out this new ink! GREAT! Will we be able to start out with the refills and use existing pads and replace old ones a few at a time? Love the shape of these…they will be so versatile to use! The new shape is cute! Can’t wait to try some! Finally!! I’ve been waiting to make a big PTI cardstock purchase until I could get matching inks, too. The time has come to place my order!!! So excited for the new ink — and love the option for the small cubes! Thanks! So happy these inks are finally here! Love the new shape! Nice price, nice look. Excited to try them out! How exciting to see these new ink pads finally released! I agree that the new shape definitely allows plenty of flexibility/ability – kudos to PTI! So is the black water-proof? So excited the new ink is finally here! So glad to hear the new ink is finally available! Again, the dies are great! I love tag sale #5 and the poinsettia is beautiful! Thank you Papertrey for working so hard to bring us new ink! I am so excited mainly because I love all colours Papertrey and I am running on empty. Hugs to you. So excited for the new inks! Love the shape! Can I tell you how excited I am by the new inks? Woohoo!! I hope you all have a lot in stock! So happy to have the new inks available. I, like most of your loyal customers, have been anxiously awaiting this release. Thank you for your hard work on bringing all of us a quality product. Thank you for the chance to win. I am looking forward to your new inks. When I discovered Papertrey, you had already discontinued your ink pads. Can’t wait to have some matching ink and paper!!! 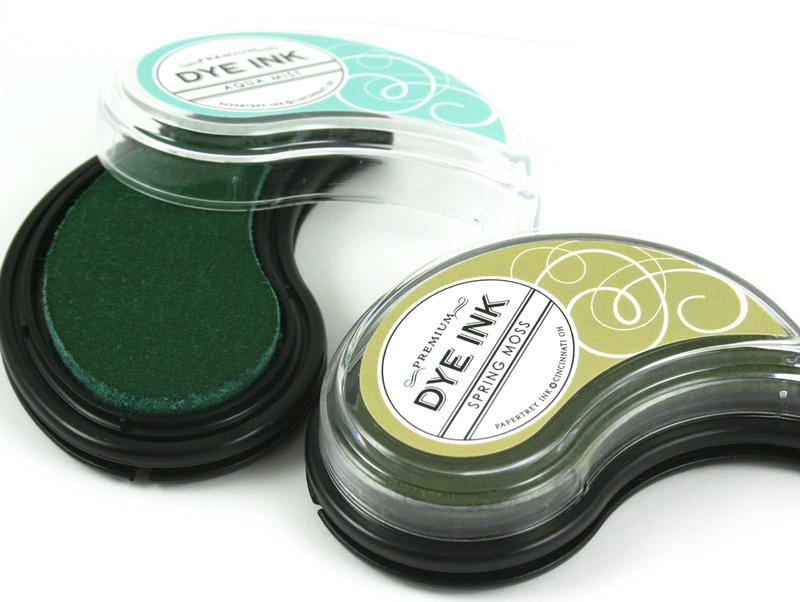 I am so excited to try your new dye ink pads!!! They look wonderful! I can’t wait to begin stocking up on the new inks!! Fabulous and such an interesting shape. Bravo! I am looking forward to play with them, they look great I love the shape of the big pad, so smart!! Thanks for developing such thoughful products and giving us your clients always the best!! Gotta say the shape of the large ink pad is pure genius! Oh, to be able to edge those die cuts!! !